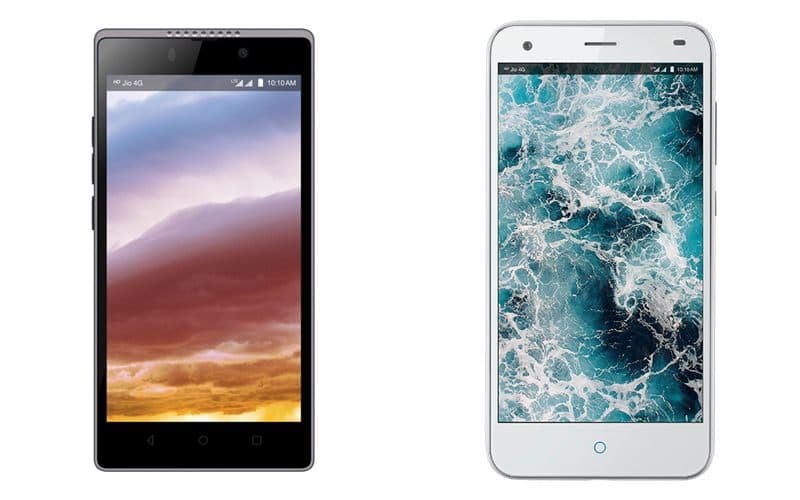 The new smartphones are an addition to the Wind and Water series of the LYF four series brand. Released in the budget bracket, these are 4G enabled dual-SIM supported devices that come with Jio Happy New Year Offer. LYF Water 3 runs on Android 5.0 Lollipop sporting a 5.5-inch HD (720 x 1280 pixels) display with pixel density of 267 ppi. It is powered by a 1.5 GHz octa-core Qualcomm Snapdragon 615 MSM8939 SoC paired with 2 GB of RAM. Fired up by an 3000 mAh battery there is an inbuilt storage of 16 GB, which is expandable via microSD card- up to 32 GB. LYF Wind 7S features as a successor to the company’s Wind 7 smartphone. It comes with a 5-inch HD 1280 × 720 resolution display. Powered by a Qualcomm Snapdragon 210 1.3GHz quad-core processor, it houses 2 GB of RAM. It further offers 16 GB of built-in storage (expandable via microSD card of up to 128 GB). The device runs on Android 6.0 Marshmallow and comes with a feature called ‘Multiple gestures’ which facilitates waking up of the handset device, start of the camera, controlling of the music player, muting of incoming calls and access of apps from the locked screen using gestures. On optics front LYF Wind 7S includes an 8 MP rear camera with an LED flash while on the front there is a 5 MP snapper for clicking selfies. LYF Water 3 on the other hand houses a 13-megapixel rear camera with flash and autofocus feature and a 5-megapixel camera on front. LYF Water 3 would be available online exclusively through Flipkart in Silver variant, while LYF Wind 7S would be available for sale via company’s own platform.